Simply click the button below, this will take you directly to the Nobel page on the official Ofsted website, where all Nobel’s Ofsted reports are available to download. In addition, we survey all parents each autumn term and receive in excess of 650 responses each time. We are very proud of the fact that almost all figures are substantially into the 90% bracket for agree or strongly disagree. I have had three sons go to Nobel and have either gone to university or straight into a career they wanted to do. I’ve now got my daughter at Nobel who’s in yr9 and so far she is on track to pass her GCSEs with great grades like her brothers did. This is not just down to parenting, this is due to the staff at Nobel being there for the children and teaching them in a way which the children understand. Also taking time to support them in every way. The school has always sorted any concerns my children or I have had over the years. I work in a school myself and so I know how much effort goes into the children and work. I have and will continue to praise the school to future families that may consider sending their children to Nobel. Thank you from the bottom of my heart for what you have done for my four children over the years. The school has fabulous teachers who encourage and motivate our children. My child is CLA and I think the schools support in this area is excellent. A very well run school. The teachers are very supportive and do a fantastic job in teaching. The school deals with unwanted behaviour efficiently and quickly. The Y7 trip to the woods was perfect and highly recommend in future to all Y7s. Overall very happy with school. Thank you to all parents that took the time to complete the survey. Over all 544 parents completed the survey. Of the respondents, 71 parents made a written comment and 51 of these had suggestions or raised issues/questions. As many of the issues were similar, the 51 topics raised have been consolidated into the school responses below. Students are rewarded in lessons using the CARE point system and parents should get this information through the gateway. 6 students are nominated each week for a variety of reasons to have hot chocolate with the Headteacher. At Data drops, 30% of students receive a ‘good progress’ commendation letter through the post. Celebration assemblies highlight 100% attenders and CARE points publically and students are named. Subject postcards go home from individual staff. Bikes – We do regularly talk to students, delivery road safety assemblies and put articles in the newsletter. We will continue to educate our young people and hope that parents are also reinforcing the message at home. Bullying – The school has a clear policy for dealing with bullying that has been praised by the Local Authority. Whilst we understand the emotions that accompany a family’s response to unkindness of any kind, we are happy that the correct systems are in place. We do act on issues when we know about them and early school involvement is always best to prevent escalation. Reasons for detentions and receiving behaviour points – We are looking to see how our information system can provide this for parents. For specific issue to do with behaviour please always contact the Head of Year who can direct you queries to the correct member of staff. School policy on phones – Students are not allowed to use phones in the school grounds. They should not be out or used until students have left the gates. If taken for a first offence, they can be collected at the front office. If a second offence, parents must collect at their convenience. Some parents have said that they have not had responses to requests for contact. We aim to have a 24 hours first response to any contact. Sometimes this is difficult if colleagues have a 5 period day and meetings after school. Email is always best. If going to a class teacher or form tutor, please copy in the Head of subject or head of year, this information can be found on the school website. If it is going to a subject leader or head of year, please copy in the senior line manager. Emails will shortly be listed on the website for you. Classes should never be held up for any more than a couple of minutes. Detentions go on the gateway app for parents as a means of informing you. Anything other than these should result in a phone call from us to you. If you feel that you have not been responded to, please contact the following senior team line managers. Please see website for full staff lists and email addresses in the Information for Parents section. Parents evening tables too close together – We are trialling a new layout and organisation that we hope will help fix some of the issues raised about parent evenings including overcrowding. Calendar – we will investigate the use of the outlook app on the website. Key information about term dates etc. are always at the bottom of the calendar page for ease of access. There are a whole range of parents’ comments regarding lunchtimes. These range from queuing to range of foods available. We hope to take the catering contract back ‘in-house’ to give us greater control. However, parents should be able to see the purchases made by their children through the app and this can allow discussions to take place about healthy choices at home as well as the work being undertaken by staff. Healthy eating is a priority for development in school this year. It is worth noting that the meal of the day, which is very good value is excellent quality and healthy in the main. There is no queue after 1.15pm for the main meal and it could really help cover healthy eating and queuing if parents could encourage more students to take this option. Along with school council and discussions with students we intend to review the way lunchtimes work based on parent and student comments. Response from the parent survey was varied. It recognised some of the excellent teaching and support that students received but it also highlighted a few areas for us to consider. Like us, parents noted concerns around supply teaching and staff turnover. Unfortunately this reflects the national picture, but we are taking steps to ensure that in difficult to recruit areas, such as Science, we are developing a strategy to ensure that we are able to recruit high calibre staff. We also have a comprehensive CPD programme to ensure that staff are well-equipped to deliver good lessons. Some parents asked for more support around helping their children prepare for exams. This has been an area for develop for us this year, with more “Parent Pit Stops” and “Parents In …” evenings. Our teachers are also focussing on this more in class. In addition, there is a useful section on the school website: http://thenobelschool.org/curriculum/revision/ which contains 6 very short videos about how to revise effectively, based on the latest research in cognitive science. Watching these clips and then encouraging your children to use these methods when they revise is a great way to support them in preparing for exams. One parent also felt that there was too much recognition for academic success. 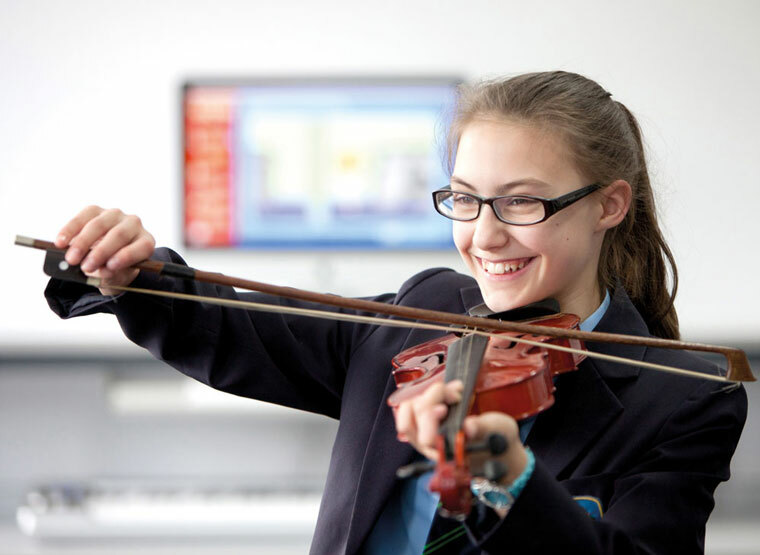 Our Nobelian programme (CARE and LORIC), DoE work and Super Curriculum focuses students on begin successful in a holistic sense, rather than just exam results. Our use of learning apps was also mentioned as one parent felt that it meant they were unable to limit screen time. Technology is a massive aid to learning and, whilst we recognise this is not always possible, we would recommend parents using a screen time app to monitor mobile device use as this breaks down time spent using individual apps. There were also some very specific concerns. One parent commented on the language studied in Year 7, concerned that their child was studying German. At Year 6 transition meetings with parents and new Nobelians we now make sure that we ask if there is any reason why a student should study a particular language. In addition our website information has been updated to make clear the languages that we currently offer. One parent commented on the £5 contribution for DT. This really helps the subject in the rotational nature and large amounts of materials used by students across the year. With regard to food, the students bring their own ingredients otherwise the costs of delivering food would be prohibitive. Students do always take their food home once they have cooked. Three parents raise queries about assessment and reporting with us. lessons but students also receive more detailed written feedback on assessments. The frequency of this written feedback varies with the number of lessons students have in each subject With regard to a general, ‘How are they doing? we would always advise comparing target levels with current and where appropriate predicted levels. Large gaps would be a concern and parents should always email subject staff where such concerns exist.